Sometimes the simplest stories are the most intriguing. 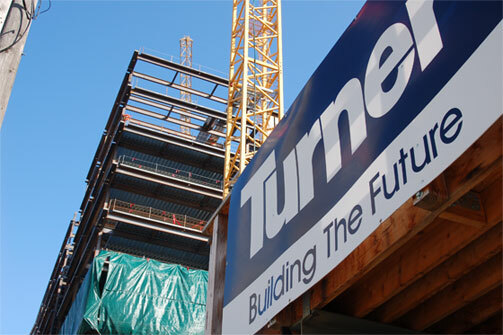 In October 2014, we worked with Turner construction to share how the company is erecting its latest building 50 percent faster by using two cranes instead of one and the media loved it! The Block 45 site in South Lake Union, which Turner is building for Vulcan, uses a variety of efficiency-maximizing measures to expedite the construction process. Project manager Chris Heger had the opportunity to explain these innovations to a group of Seattle media that included KING, KOMO and Q13 FOX, as well as The Seattle Times, SeattlePI.com, Puget Sound Business Journal and Daily Journal of Commerce. The Keller Group identified, developed and pitched the story along with an on-site tour for all participating reporters that included going more than 100 feet up in the building to get a first-hand look at how Turner’s two cranes choreographed their movements (plus a panoramic view of the city!). In total, more than 10 unique media outlets (both national industry publications and local news organizations) shared Turner’s story. Check out some of the coverage below!